DAV Institute of Engineering & Technology Jalandhar got established in year 2001 under the aegis of DAV college Managing committee. The institute is approved by AICTE and affiliated to Punjab Technical University,Jalandhar. 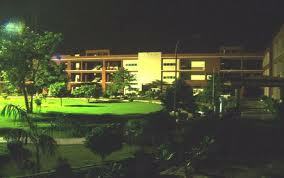 This is the first degree level Engineering Institute started by the DAV College Trust and Management Society.The DAV College Trust and Management Society is the largest non-government educational organization in India managing a chain of 700 institutions in India and abroad.The institute is located in the heart of city on a prime piece of land adjacent to DAV College,Jalandhar on the left side of Jalandhar-Amritsar National Highway spread over an area measuring about 18 acres possessing extremly beautiful landscape with a running canal on its back and historial BurltonPark on its front. Placements: The Institute has a full-fledged Training & Placement Cell to look after the Placement activities. The Training and Placement cell provides the official support base for placement of Final year & Pre Final year students. The support services that it offers are in the form of arranging campus interviews, grooming students to face the final test of their knowledge, create and arrange value added Industrial/Practical Training to the students. The institute is equipped with two centrally air conditioned Auditoriums (with a seating capacity of 1200 and 350) for holding Pre-Placement Talk, two conference rooms for conducting group discussion sessions, seminar hall and well furnished rooms & offices for conducting interviews. The Placement Office is fully computerized. The Steering Committee of the Placement cell is headed by the Training & Placement Officer of the rank of Assistant Professor and Industrial Coordinators from each department of the rank of lecturers. In addition to the support staff, four students from each department are contributing as Student Placement Coordinators. Central library: DAVIET Library is one of the best equipped in terms of the number of books, back volumes and current journals subscribed. The Library is fully computerized which has helped in the faster Literature Retrieval and search. The prime motivation of students and staff who are always in the need for information is in using cutting edge technologies and online knowledge archival system. In order to make the environment more users- friendly and conducive for learning, the library is fully air-conditioned with basic amenities available inside. Students have access to a lending library, reference library, paperback library, non-print media library and a vast treasure of journals, current and back volumes. The main library has a vast collection of over 30,080 volumes and still growing. All the students, Faculty and Employees of the Institute are entitled to make use of the Library facilities on taking Library membership. Initially set up in 2001, the Central Library has been setup in Knowledge Center in June 2010. Hostel: DAVIET is taking due care of the students by providing them Homes away from homes with Multistoried hostels which have been constructed and furnished tastefully in the heart of the campus. The accommodation is separately available for boys and girls. Hostel procedures and facilities are regularly monitored and updated as per well-defined ISO 9001:2000 standards. The hostels are having attached mess for boarders’ convenience. Mess meals/menu are decided by the students. Every care is taken that students should get nutritious food and balanced diets, which is hygienically prepared. Campus has its own water supply and power backup system. Recreation rooms with indoor Sports, News Room, Cable T.V and Telephone facility. Computing / Internet facilities are available in the hostel Computer Lab, which have 2 Mpbs, leased line Internet connectivity. For late night studies, reading room has been provided to the resident scholars. Attached playgrounds are also available for the students to enjoy sports, morning walks etc. The Institute has a Resident Doctor for health care of the students. For laundry / dry cleaning facilities the washerman has been appointed who visit hostels regularly. Canteen and mess are having tuck-shop for grocery and other items. Senior faculty is accessible to help the students for counseling and personal advice at the time of need. The upkeep of the hostel is maintained to the highest level through hygienic conservancy of toilets. Institute has provided an ultra modern lift in the boys hostel for the convenience of boarders. AC accomodation is available in PG Hostel on First come First Serve basis.